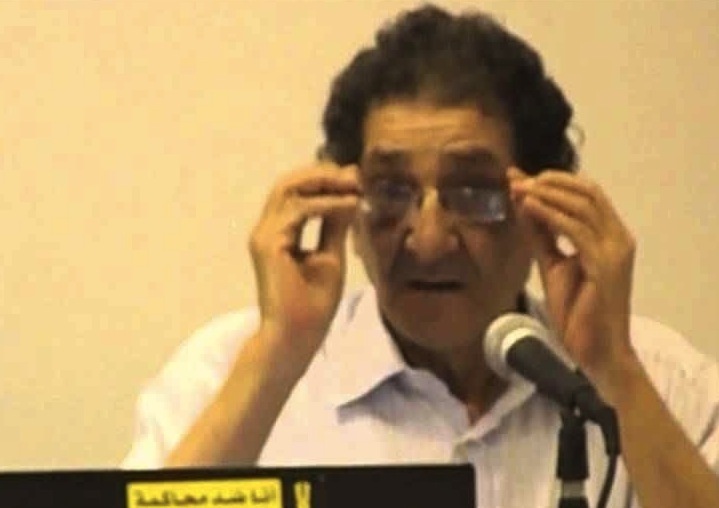 Ahmed Seif al-Islam died one year ago today. I had meant to write something then, but I didn’t have the heart. No one had much heart in those weeks. I went to his wake at the Omar Makram Mosque three days later. Evening, like fusty crape, had settled on Midan Tahrir, five minutes’ walk away. It felt evident that this was also a funeral for the revolution, which had started there and dragged itself this short distance in four years, to die: a valediction not just to a person but to a history of dreams. Thousands of people filed through the small mosque; all of Egypt’s Left was there, but also students and graffiti artists and football fans and people who had only heard, but knew the significance of, his name. His daughter Mona received them, exhausted, by the door. 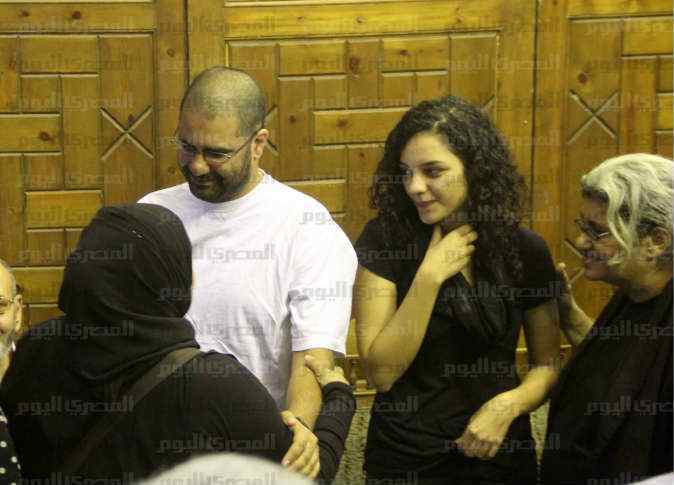 His son Alaa had been released from prison to participate; he was beside her, wearing his prison whites, a garment which in Egypt always makes me think of pilgrimage. Inside, people looked down and said little, to the ebb and swell of the recited Qur’an. Hamdeen Sabbahi — the twice-failed presidential candidate whom Sisi had crushed in a rigged vote two months before — stood against the wall, with a tiny remaining entourage. His chin jutted; he was posing for invisible cameras; he reminded me how, even under dictatorships, politicians acquire the kinds of ego cultivated in our celebrity-sated media democracies, a self-regard that failure cannot shatter. (I’d learned this before in Egypt: in 2003 I met with Ayman Nour, a daring opposition MP who had the privilege two years of later of being similarly crushed by Mubarak in another gimcrack ballot. We were supposed to talk about some arrested demonstrators — he was their lawyer; instead he spent two hours talking about himself.) But no one paid attention to Sabbahi; the flashbulbs had flown like swallows. He’s a tall mountain of a man, but he seemed like hollow papier-mâché compared to Seif’s missing figure, friable and insignificant against the absent corpse. Straight minds grown crooked fighting crooked minds. Our peace betrayed us; we betrayed our peace. Look at it well. This was the good town once. That is Egypt in the summer of 2015. All this makes thinking about Seif the more painful, if the more necessary, a year on. I need to remember him, to make sense of everything since. The obituaries and memorials back then recited the key facts. As a young Communist activist, he faced the first of many arrests in 1972 (at the age of 21). 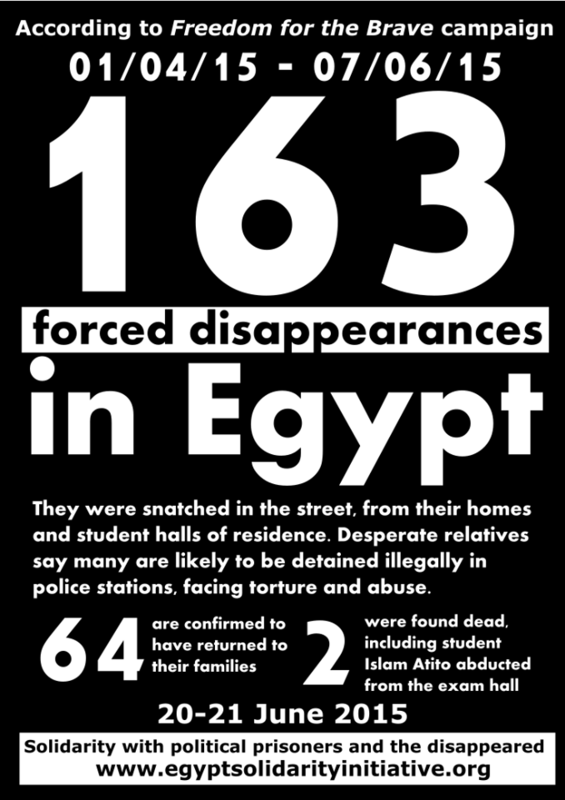 In 1983, the Mubarak dictatorship jailed him for five years. They tortured him: “I was turned into a wreck of a human being,” he told Human Rights Watch. “A small example: each time I had a meal of torture, there was the sound of a bell. Since then, whenever I hear the sound of a bell my body shakes.” Finally freed, he made the hard choice to change the methods of his dissent. He became a lawyer, defending everyone from labor activists to accused apostates. 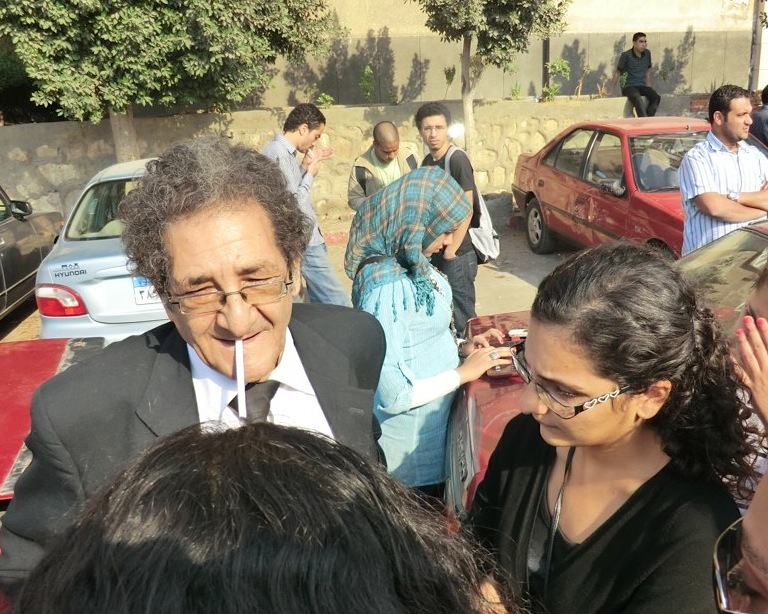 In 1999, he helped found the Hisham Mubarak Law Center, the main human-rights legal defense group in Egypt. He practiced an activism that transcended the usual insularity of the left. He worked with religious fundamentalists, with accused “terrorists,” with religious minorities, with liberals of all stripes, with LGBT people, with feminists. He constantly looked for common ground between disparate but cognate ways of resisting state control, digging for a deep politics where joint action could begin: in similar visions of social transformation, in congruent loathing of arbitrary power, in shared experiences of torture. 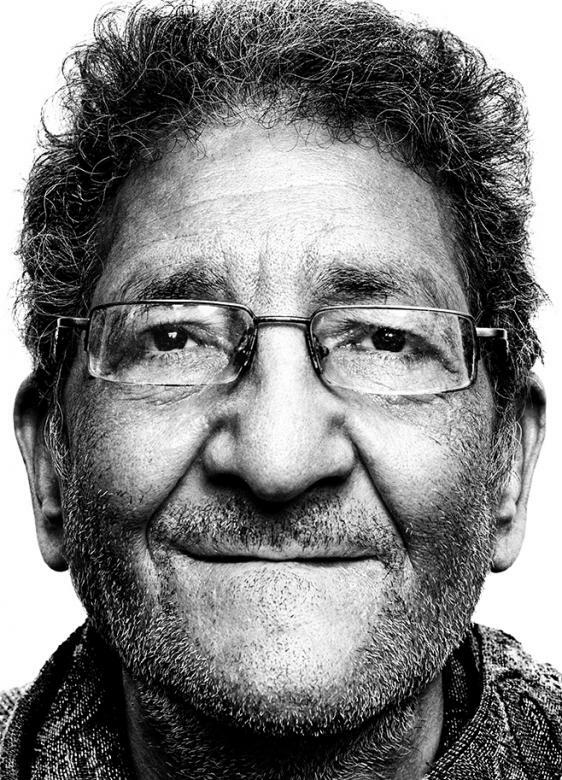 And then there is his family: his wife Laila Soueif, a mathematician and relentless political activist; his daughter Mona Seif, who has spent almost five years fighting military persecution of civilians; his son Alaa Abd el Fattah and his daughter Sanaa Seif, both now serving prison terms for protesting “illegally” — jailed, they could not join him at his deathbed. And his sister-in-law Ahdaf Soueif, a novelist and activist (who chronicled some of the family history in her early fiction, In the Eye of the Sun); and her son Omar Robert Hamilton, who writes about the revolution, in Cairo and London. There’s something almost theatrical about a family life lived so intensely in public action; acting and activism are akin, after all, except the second comes without a script. At times they remind me, not exactly of the Barrymores, but of Ferber and Kaufman’s play about the Barrymores, The Royal Family — if it were somehow transported to the world of 1984. One striking thing (and one level, I suppose, of defying the surveillance state) is that, while they live in public, their private lives and loyalties are intensely rich and full. If you raise your kids to be rebels, almost always they eventually rebel against you. I’m sure Seif’s children had their moments of rebellion, but the other striking thing is that their father’s legacy is in their bones and they are unceasingly faithful to it. This is what happens when the political is also personal: a turn on a feminist adage that bears remembering. I didn’t know him as well as many others. The best tribute I can pay now is to remember some things I learned from him. I was startled. I stammered, we didn’t exactly, we were an LGBT group, but we understood the (fill in some words). The next time I saw Seif, I was working for Human RIghts Watch — which did have a position on Palestine and Israel, though not one he respected. But he wasn’t looking for a final answer. He wanted me to understand that I was a political actor whether I wanted to be or not, and he was going to treat me as one. He wanted me to understand that “universality” is a choice and practice, not a generalization. Principles weren’t the opposite of the quid-pro-quo he posited; it was principle that demanded we both widen our horizons. For Seif human rights weren’t Platonic ideas glassed in some abstract realm; they took meaning in the concrete world through politics. They are absolute values we work out in real life. Their reach becomes universal through the labor of arguing out alliances to make them so. Seif’s turn to the law hadn’t changed his basic beliefs at all. He worked for human rights, but he was a revolutionary, and he thought only radical change could make them real. And only through the give-and-take of politics would change begin. A second memory. 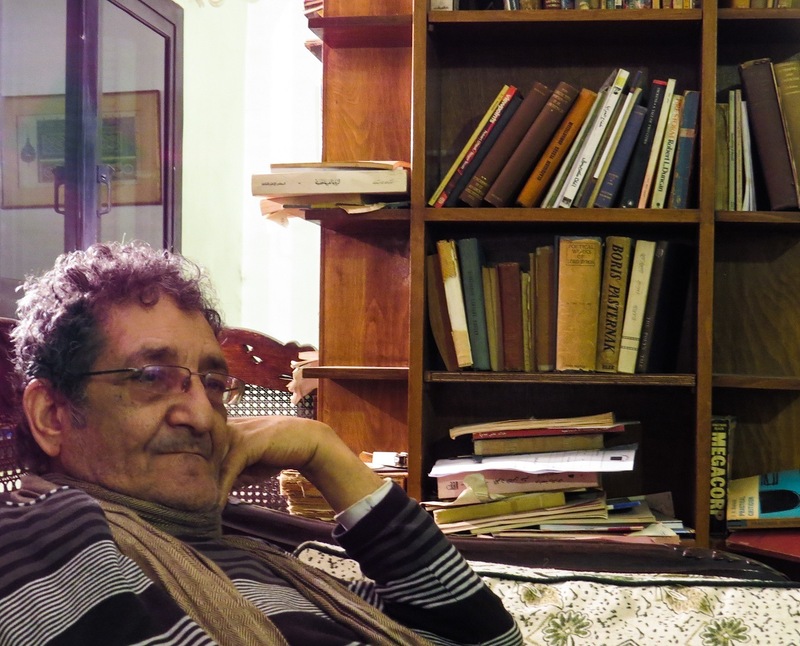 I saw Seif in Cairo in the summer of 2011, when the military government — the Supreme Council of the Armed Forces — was deepening its grip on the country. I sat in on a meeting Amnesty International organized for human rights activists. There were some 25 people at the table, and we went through a round of introductions and saying what our “core concerns” were. Seif looked half-asleep. When his turn came, he mumbled something almost inaudible. Then suddenly, as if someone had stuck an electric wire in his spine, he jolted to life. “I will NOT,” he shouted thunderously — slap of palm on table — “accept that the American government, or Amnesty, or anyone will tell me that I need to tolerate military dictatorship in order to avoid a takeover by Islamist people. I will not accept such false choices. Anyone who wants to dictate that should leave this country alone.” I don’t remember the rest of what he said, but I don’t remember a word of what anyone else said either. And that was a second lesson about politics. You may compromise on strategies or goals. You don’t have to compromise on saying what you believe. Seif would sit with almost anybody on a panel if it advanced a just, joint cause — Salafi preachers or American human rights organizations; but not if he had to mince his words, or lose his capacity to be critical. He would sign an open letter sponsored by Human Rights Watch one day, and start an open letter blasting Human Rights Watch (usually about Palestine) the next. Coalitions don’t mean abandoning all confrontation. The idea of having his role publicized would have appalled Seif. True, he lived a public life; he was always on a stage, in some sense, but he was never any kind of star. The picture at top is almost the only posed photograph of him I’ve ever seen. It’s from a photo shoot that Human Rights Watch hired Platon to do in Cairo in 2011, a rather silly series of images of key figures from Egypt’s revolution. You can see the handlers couldn’t talk Seif into changing the moth-eaten sweater he usually wore, which is why the picture is in such close-up. You can also see he looks — well, not uncomfortable, just resigned, as if he’s finally realized this is the firing squad, and you’ve got to face it. When the ordeal was over, he must have felt like Dostoevsky getting his unexpected reprieve from execution: Now, I have time to write. The danger in dictatorship is not only its technology of repression. It’s the dictatorial personality it imbues — not just in its servants, but in those who fight it. Human rights activists, because so hard to criticize, are if anything especially vulnerable to this warping of ego and moral sense. Seif had none of it. Our strange postmodern confusion of celebrity and power, so insidiously tempting to so many activists, was alien to him. It is impossible to imagine him talking about himself to strangers; he repelled flashbulbs as if he’d sprayed himself against them. It’s impossible to imagine him on the cover of a magazine, or on a red carpet with Brad and Angelina, or Menna Shalabi or Khaled Abol Naga or anybody. It’s just as impossible to imagine him participating in the games of power, holding a press conference with a UN ambassador or a foreign minister, or basking in the shared, pale light of some ambitious politician. Even the pictures wouldn’t have come out. The power of his presence would have exposed those beings as incorporeal fictions — vampires, creatures who don’t show up on photographic film. I was in court recently [for an “insulting the judiciary” case, another charge he still faces] and they brought in Magdi Qurqur [from the Brotherhood-sympathizing National Alliance Supporting Legitimacy] by mistake. He was in really bad shape. He told me that the day the prosecutor general was assassinated, prison officers went into the cells in Tora’s maximum security prison and stripped them of everything — prisoners’ clothes and bathroom stuff, but also medicines, even medicines which are really dangerous to stop suddenly, like for chronic heart problems, for example. There’s no hope at all in reforming the Egyptian state or any of its institutions, including the presidency. These institutions and their heads deserve a revolution…. [But] there is no longer one revolution that would let us to talk about “its forces.” Now we have multiple revolutions, and we need to think carefully about what this means. by providing a space of appearances in which they can show in deed and word, for better and worse, who they are and what they can do, then darkness has come when this light is extinguished by “credibility gaps” and “invisible govenrment,” by speech that does not disclose what is but sweeps it under the carpet, by exhortations, moral and otherwise, that, under the pretext of upholding old truths, degrade all truth to meaningless triviality. Truly I live in dark times! Because it implies silence about so many horrors? 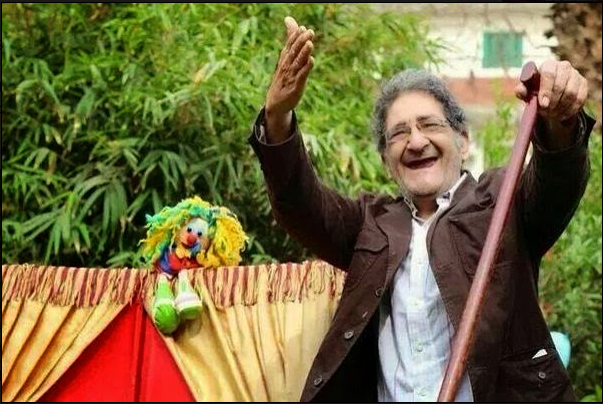 This entry was posted in Human Rights, LGBT Rights, Poetry, Politics and tagged Ahmed Seif al-Islam, Alaa, Alaa Abd el Fattah, Brecht, Egypt, Egyptian Armed Forces, Free Alaa, Free Sanaa, Hannah Arendt, Human Rights Watch, IGLHRC, Mona Seif, Sanaa Seif, Scott Long, Sisi by scottlong1980. Bookmark the permalink. Very informative and with insight into Eygptian politics. Reblogged this on Misskinx's Blog. Thank you so much for this beautiful, personal homage. I love these lines: “The mannerism seemed to have a deeper meaning, a way of coming to terms with an unpleasantness buried in life’s innards: as though the world had just given him something bitter to eat, a cosmic rotten quince or a transcendental grapefruit soaked in alum, and rather than spit it out, he was trying to decide what this implied about the universe.” Thank you.